The digital age has brought about many innovations that architecture and construction businesses can benefit from. One such innovation is cloud computing, which involves your files being hosted both on your devices and on the web; always in perfect sync, and available practically anywhere. 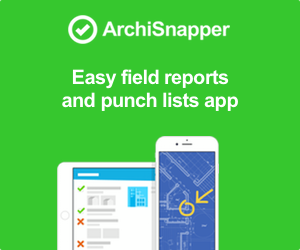 With cloud computing you can retrieve floorplans through your tablet, check emails from your iPhone, and send a report from your office that you drafted onsite with ArchiSnapper. It sounds fantastic, but perhaps it sounds complicated too. Fortunately, it’s not. In this article I want to show you why and how you should adopt arguably the most complete cloud computing package available – Google Drive. Best of all, it’s completely free. In a nutshell, Google Drive solves just about every problem you’ve ever had relating to file access, sharing and collaboration. It is made up of a number of different apps: a word processor, spreadsheet program, slides (à la Powerpoint), drawings, maps and more. The files you create with (or import into) these apps can be shared with anyone across the web. Furthermore, you can collaborate with others in a seamless manner – editing and updating files on the fly; even at the same time. Adopting Google Drive is a sure-fire means of streamlining your architecture or construction business. If you haven’t started using Google Drive to boost your architecture business, now is the time to try. With that in mind, let’s take a look at how Google Drive can help you expedite several processes and even save money. It’s not all that difficult to save a design or report to a flash drive, but what happens after that? Can you access that particular file if you forget the drive in your hotel room? What if you save something on your computer and the battery dies or something happens to the operating system? You would have to use someone else’s computer, but since you saved it on the affected computer you can’t even do this. 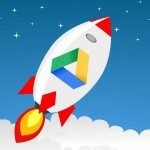 With Google Drive you can upload just about any file type and save it in the cloud. Save an image or document to your Google Drive, head out for lunch and bring it up on your phone while meeting up with one of your clients. If something needs to be changed right before a meeting you can bring up your Google Drive on a tablet or someone else’s computer and get to work. Do you remember the days of passing around a flash drive to share files? How about compiling long email strings to send revisions back and forth? With Google Drive you can cut down on this confusing and often restricting process by just uploading a file and providing access to the people who need to work on it. Share your files with just a few people or make it so that the whole world can see it by just going to a link. After that you can have real-time chats with some of your employees, and they don’t have to be sitting in the room with you. Check back to see if anyone made any changes with the documents. My favorite part is that you can just upload a file and then someone else can download it if they are heading to a meeting or somewhere else. You no longer need to use an email account, and the storage is much easier for large files, since emailing someone with a large file is not always possible. Do you currently pay a fee to backup your files? Do you spend money on storage systems that don’t even let you access the content from other places? Even if you setup a virtual private network to access your files you may have to spend money for the whole system. We all need to save some money with our small businesses, so why not start by using a free service like Google Drive to cut your costs? Manual backups are not only unreliable, but they force you to spend some of your own precious time to save all the files on your computer. But when you save files on Drive, Google backs up the content automatically. This means you don’t have to worry about your assistant forgetting to back something up, and you don’t have to spend money for a third-party service or software to do it for you. Working with Google Drive is fairly self-explanatory, but there are also some interesting tips that you may not have heard of before. Let’s say you want to share a document with everyone in the world. This makes it easy to just take a link and share it with a large group of people instead of typing in the email addresses for every person. If you need to share a document with all of your clients or you just want some anonymous feedback from random people, this is a nice way to find it. Yes, you can save images and PDFs in Google Drive, but what happens when you want to search for one of these files? Google Drive makes it easy by using optical character recognition. This technology converts all the text in your PDFs so you can search for keywords later. In terms of images, you can name the images or even use the OCR to scan images that have text in them. For example, if you take a picture of an invoice or receipt you can search for this stuff later. Google Drive offers an offline mode so that you don’t have to connect to the internet whenever you want to edit a document or spreadsheet. Once you encounter a mobile hot spot the system automatically syncs the offline document with the cloud so that you don’t have to go through any manual saving processes. Evernote provides a fairly famous browser extension for clipping webpages and quickly saving them into the database. Google Drive has a similar Google Chrome extension so you can save articles for later reading. You can find the extension here. Your Google Drive syncs with your Gmail account, so you don’t have to open up both your email and your Drive to search for relevant items. Just use the search bar in Gmail and all the related files show up from Drive as well. 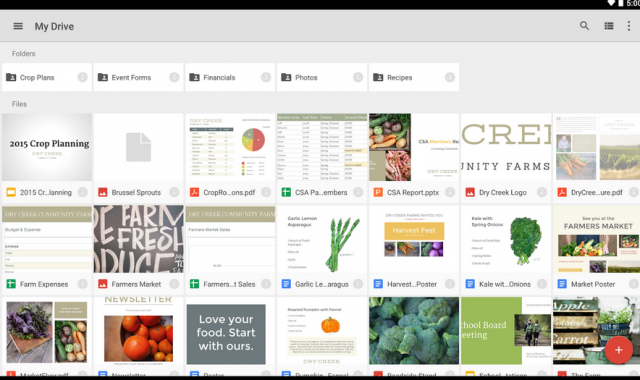 Google provides separate apps for Google Spreadsheets and Google Docs. The primary Google Drive app only lets you view what is in your Drive. This is just fine for managing and navigating the system, but you can also edit documents by opening them in the dedicated apps. The internet is filled with form building tools such as SurveyMonkey. The only problem is that these tools are limited unless you want to start forking over some cash. Google Forms allows you to build your own forms to gather feedback from clients and even employees. Create a quick form and collect anonymous responses from anyone you want. When you work on a document a history panel is available on the right hand side of the doc. Open this up to see what other collaborators have been working on, and punch in comments to highlight certain areas of concern. If you don’t want someone to view your files then you don’t have to allow it. The Share feature gives you a field to make your files private, but then you can also punch in emails to let other people edit or just view the files. Saving, using and sharing files with hard drives is a hassle, pure and simple. You typically have to pay money and you don’t get access to the files wherever you go. 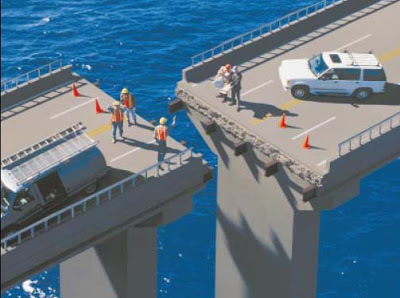 You also can’t collaborate that well when saving your files locally, making it fairly troublesome to use these methods for your construction or architecture business. Consider using Google Drive if you need a free and collaborative way to save your files within seconds. It could change your business for the better. Share your thoughts in the comments section below if you have used Google Drive in the past or plan on using it soon. I have a small design firm. We work primarily in ACAD, sketchup and adobe. What is NEVER mentioned in these articles is the issues of multiple uses on same files. Unless I am missing something, Gdrive as is dropbox and box, is a direct download/upload service. This requires both user A &B to download the ACAD file to work on it and then upload it back to Gdrive…….potentially at the same time, potentially with conflicting information and changes. If this is not the case at Gdrive has this protective capacity, I would really like to know.